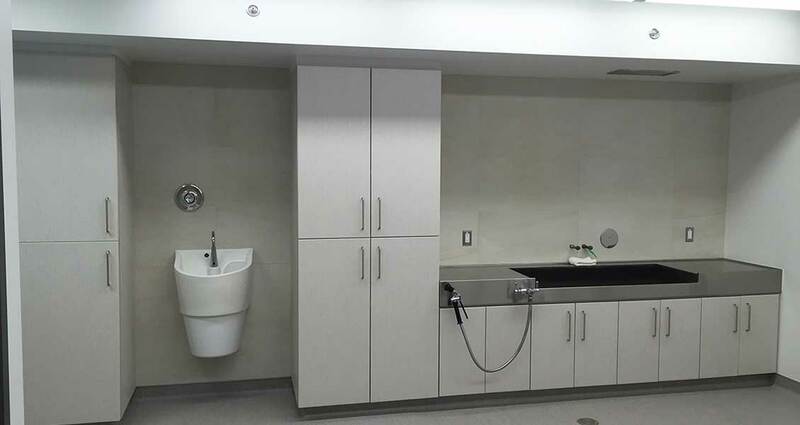 Thinkspace was retained to provide architectural consulting services for the renovation of the Fort Nelson General Hospital Tub Room and Morgue. 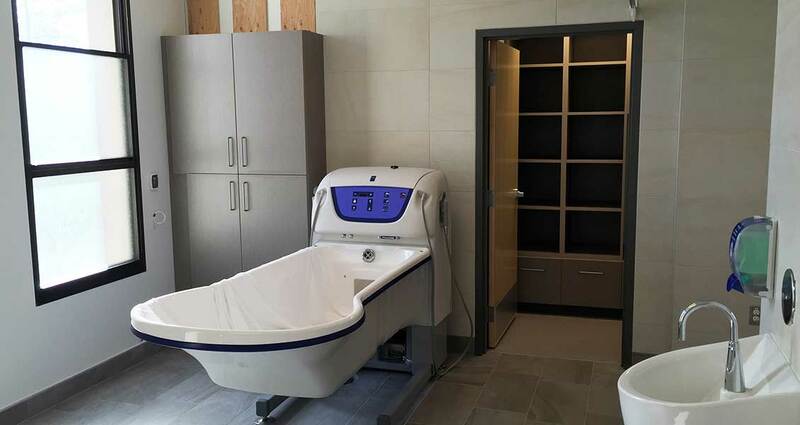 The work in the Tub Room entailed bringing the existing space up to current CSA standards, providing an efficient layout and comfortable aesthetics for clients, adding an accessible toilet and shower, creating additional storage space, new flooring, removal of existing open hopper, providing a new hand hygiene sink, replacing the existing entry door, and providing new window coverings. 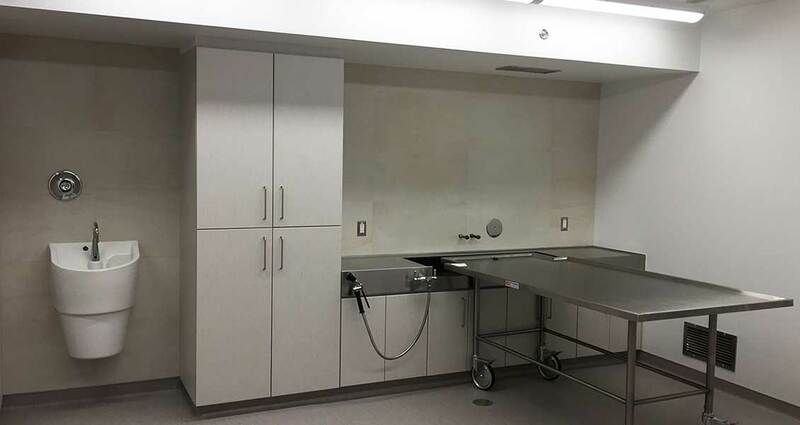 The work in the Morgue included the replacement of the existing cooler, increasing the size of the space to improve staff safety and accommodate work flow, extending the Morgue to include adjacent furniture and pharmacy storage rooms, providing a separate viewing room with calming and comforting aesthetics, a new hand hygiene sink. 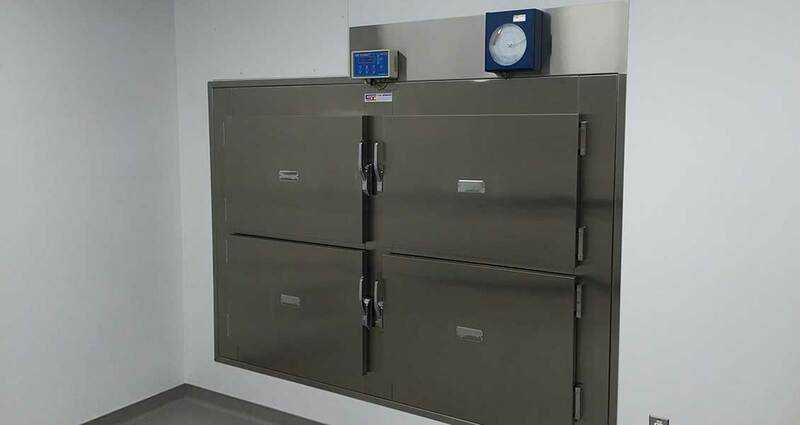 The scheduling of the renovation and coordination of the morgue cooler lead time and interim solution was of the utmost importance.